In Ottawa, there appears to be little sympathy these days for SNC-Lavalin, the giant engineering corporation facing prosecution for bribery schemes in Libya. The company was hoping to strike a deal with federal prosecutors in order to avoid a trial. If guilty, it would be cut off from lucrative Canadian government contracts for a decade. 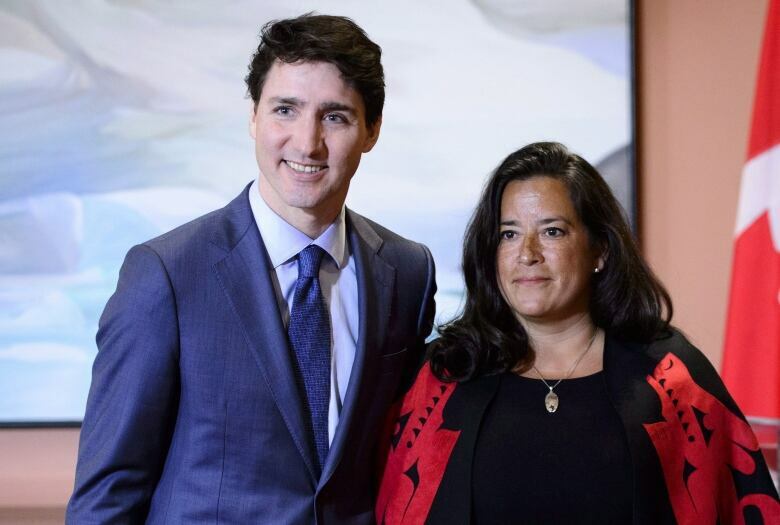 But since it was alleged last week that the Prime Minister's Office had pressured then attorney general Jody Wilson-Raybould to allow SNC-Lavalin to sidestep prosecution, few federal politicians have been willing to stick their necks out for the company. In Quebec, however, where it has operated for more than 100 years, SNC-Lavalin has a chorus of defenders that include*the premier, the Opposition and pundits. With varying degrees of equanimity, they're concerned a guilty verdict could imperil the corporation when it is already struggling with difficult market conditions. "For us, to see a settlement would have been the preferred option," Quebec's Economy Minister*Pierre Fitzgibbon*said Tuesday. "SNC-Lavalin is a company we would like to keep healthy." 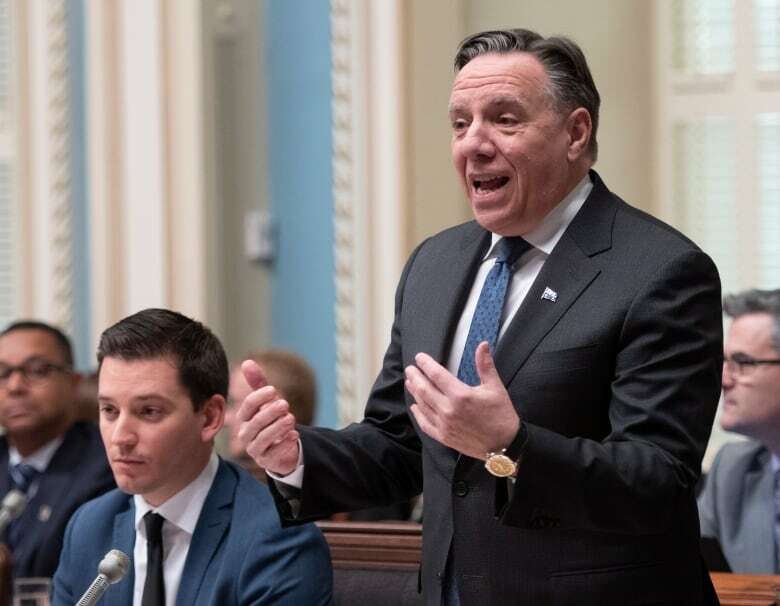 Last week, Premier François Legault acknowledged he had spoken with Prime Minister Justin Trudeau and pushed for a speedy resolution to SNC-Lavalin's legal woes. For Legault, taking the corporation to court for its past actions —*the Libyan bribes were allegedly paid between 2001 and 2011 —*would punish current employees who had nothing to do with any crimes. "You have to make sure executives who did illegal things are prosecuted, and that the company pays a significant fine," Legault said Tuesday. "But I don't think we should penalize the thousands of employees who work for SNC-Lavalin." A jewel of Quebec Inc. There are both economic and emotional reasons for the partiality that*SNC-Lavalin*enjoys in Quebec. Only 3,400 of its 50,000 employees worldwide work in the province. But Quebec's pension fund manager —*the Caisse de dépôt et placement du Québec —*has a sizable stake in the company. It owns around 20 per cent of SNC's shares, which have been trading at six-year lows since federal prosecutors announced in October they weren't interested in deferring prosecution. SNC-Lavalin has, moreover, worked on some of the most iconic infrastructure projects in the province, including the James Bay hydroelectric dams, the Olympic Stadium and the Mercier Bridge. Its presence in dozens of countries around the world, combined with an executive team that was for years composed mainly of francophones, made it one of the so-called jewels of Quebec's business community. A number of other provincial jewels —*such as aluminum-maker Alcan and hardware chain Rona —*have been bought out recently by foreign competitors and*their corporate headquarters moved abroad. That's made the Quebec government even more sensitive to protecting SNC-Lavalin's value, fearing it too could become a takeover target. Fitzgibbon replied he speaks regularly with SNC representatives and with its largest shareholder, the Caisse de dépôt. Once the undisputed king of the province's engineering firms, SNC was overtaken in market capitalization last year by Montreal rival WSP. The company's involvement in a number of corruption cases has been the longest-running cause for its loss of lustre. "The reputation of SNC-Lavalin is much weaker today than it was 10 years ago because of the poor policies of its board [of directors]," said Michel Nadeau, head of the Institute of Governance at the Université de Montréal's business school. Along with the allegations about bribery in Libya, SNC executives were implicated in a 2009 bid-rigging scheme to build a Montreal hospital. And the RCMP is currently investigating the possibility executives were aware of bribes paid between 2001 and 2003 to secure a $127 million contract to refurbish the Jacques Cartier Bridge in Montreal. But*Nadeau said*the company has moved on since then under the leadership of current CEO Neil Bruce and a new board that is more committed to governance oversight. He was puzzled at the unwillingness of federal prosecutors to use*the remediation agreement, which would have allowed SNC to pay a fine in exchange for avoiding a trial. "Many countries in the world have these types of agreements for companies involved in foreign bribery," said Nadeau, a former executive at the Caisse de dépôt. "Unfortunately the corporation is being punished, and it is its 50,000 employees —*many of them Canadians —*who are being penalized." In the absence of an explanation from the Ministry of Justice about its decision to forgo remediation, some columnists in the province are wondering whether old anti-Quebec stereotypes are at play. 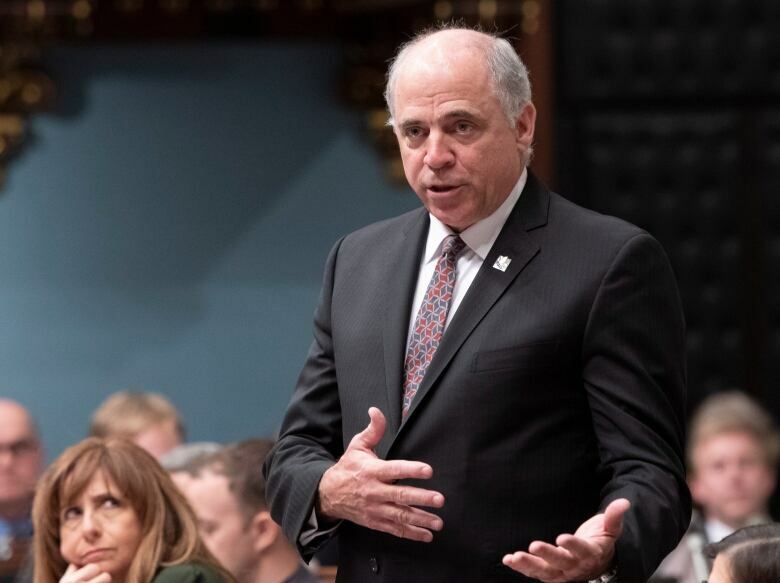 "Our colleagues in Toronto would be happy to politically block the Trudeau government from saving this Quebec giant," an editorialist wrote this week in the French-language daily Le Devoir, accusing anglophone media of hypocrisy in its indignation at SNC. "It's all fine and dandy to play politics in an election year, but what would 'Canada' gain if SNC-Lavalin was found guilty?" asked Michel Girard, a business columnist for the tabloid Journal de Montreal. The eagerness of the Quebec government*and others in the province*to see SNC-Lavalin avoid prosecution*has raised the question of whether the corporation has become too big to fail. "When you have that critical mass you should be able to weather storms," said Fitzgibbon, the economy minister. *"I think they'll weather the storm."